When connecting dots that seem a vast distance apart, try this helpful hint. 1. Put your writing implement on the starting dot. 2. Focus your eyes on the “target” dot to which you are heading. 3. Keeping your eyes fixed on the “target” dot, drag your pen along the paper until you reach the dot. You should end up with a fairly straight line. And it works! The temptation is to follow the moving point of the pen, but if you do this the line tends to go off course. Instead, you need to keep looking at the target, and then you’ll find that the pen heads naturally towards it. And there’s a lesson here for those of us who seek to move on in our faith. Often we can feel very far from where we know we are meant to be and where we desire to be. But in seeking to move forward we can only start from where we are, from whatever point we’ve reached, not from where we’d like to be or might pretend to be. Then, in trying to ensure that we stay on track, there can be a strong temptation to keep looking at ourselves, constantly judging how we are doing and where we are going. But in fact, if we do this, it’s more likely that we’ll stray off course. Instead, we need to focus on the goal of our faith, the One whom we seek to follow, and then we’ll find that we head naturally towards him. 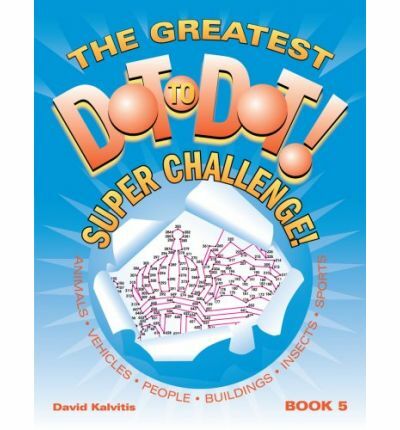 For more about dot-to-dot puzzles that you might enjoy, see the Monkeying Around website. If you like this post, please do share with others; either way, please do let me know what you think.